Actually first, let me answer the question, "What is an affiliate marketing program?" Affiliate marketing programs are strategic partnerships which "leverage the power of the list", meaning they leverage the combined power of mailing lists when two or more coaches/internet marketers/gurus team up to promote products. A key example of this is the coaching telesummit, which usually offers free teleclasses or webinars, that upsell to paid information products. 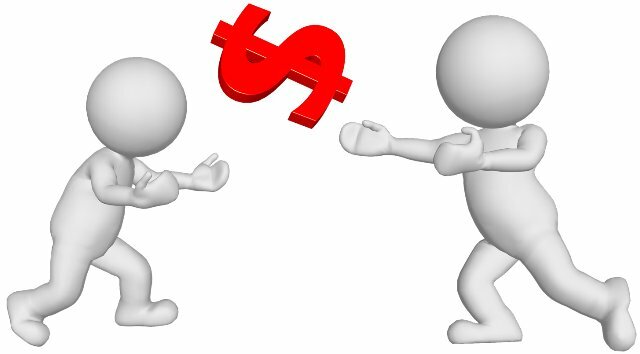 Number 1 Reason to Avoid Affiliate Marketing Programs: The program may benefit you financially in the short run, but be a disservice to your clients and members of your mailing list...and that could be a financial disservice to you in the long run. Here's an example: Recently, a client of mine mentioned something that he could use that a coaching colleague of mine does very well, so I mentioned her to him, not for an affiliate fee, but because I know she could help in this area. My colleague happens to be involved in a lot of telesummits. My client was already familiar with her and said, "No thanks. I used to be on her list, but I got bombarded by email marketing messages from her and from a lot of other people, as well, so I unsubscribed from all of them." He was tired of getting several marketing come-ons everyday. They were confusing and annoying and turned him off from potentially working with this talented coach. Now, I've decided not to recommend her anymore. That's what I mean about affiliate marketing being a disservice to your potential clients and ultimately to you, as well. Number 2 Reason to Avoid Affiliate Marketing Programs: Unless you know all the people involved in the program, you may inadvertently be recommending low-quality products and services that reflect poorly on you. In my case, if a fellow coach, who has a track record for only recommending the best, recommends someone to me, I follow up on that recommendation and if it turns out well, I think even more highly of them. But if a colleague recommends a coach who disappoints, I think a little less of both of them and I make a mental note to ignore future recommendations. For example: Last year, I signed up School of Coaching Mastery as an affiliate of a large coaching summit, because some good people were involved. I emailed my list to try out the free teleclasses and I tried out some of them, myself. With only one exception, I thought the teleclasses were just the usual cr*p. Several of my students mentioned being disappointed by them, as well. Here's something you need to know: once you decide to become a professional coach, you are ripe for the picking by untold numbers of coaches, consultants, marketers, webmasters, trainers and more, who know you're going to need products and services to build your business. There are a handful of folks who do extraordinary work...and there are thousands of me-too folks who want a piece of the action, even if they have nothing of real value to offer. Too often, telesummits are larded with the latter. The telesummit in my example was well designed and they paid promptly. It was just enough money for me to consider doing it again, but it didn't pass my personal test for whether I should market something: Does it offer genuine value to my clients and potential clients? Or will it likely confuse them, waste their time, or talk them into buying services that aren't useful? Number 3 Reason to Avoid Affiliate Marketing Programs: You may waste your own time and never get paid. Last year I was contacted by a coach I knew via social networking who pitched a product to me that she said would help my students. Normally, I would have ignored an email like that, but a student of mine had just ask me if something of that sort was available, so I checked it out. It was business-management software for coaches that included a coaching website. It looked pretty slick, so I agreed to talk to her about it. Long story short: she offered me a free membership and what seemed like a great affiliate opportunity and it really looked like it would be helpful to my students. I spent six months promo-ing what I called a coaching-business-in-a-box to my mailing list. Quite a few people signed up, although a few of them told me they didn't like it, because it was too clunky and they could do the same tasks more easily without it. I eventually dropped it for the same reasons and...the company never paid me. I emailed the owners about it a couple of times and they never even replied to my emails! In my book that is: Really. Bad. Business. So now they're on my sh*t list and maybe, just maybe, I'm on someone else's list because I recommended them. I can say I'm sorry, but it might be too late. So there you have 3 reasons to think twice before participating in affiliate marketing programs. Because they may be a disservice to your clients, or reflect poorly on you, or simply give you a lot of unpaid work to do. It may surprise you (or maybe it won't) that School of Coaching Mastery has its own affiliate marketing program. Why? Well here's an example: recently, a former member asked me if he could join my affiliate marketing program for Coach 100, because, as he said in his message to me, “Coach 100 was the best thing I ever did to get off to a fast start in my coaching business!” He knows me, knows the program and has seen the results and wants to share it. That's the kind of referral that works well for everyone involved and I'm happy to pay a fee to members who recommend us. But here's the thing: you can make more money and experience more fulfillment by coaching your own clients. Recommend others based on value and supplement your coaching income by serving instead of leveraging a marketing scheme. Some great testimonials are rolling in from the first members of the School of Coaching Mastery. feel good for a little while, and then you both go on with your lives.